The last thing you want on the morning of your outdoor wedding ceremony, is torrential rain. Even though that’s exactly what Jenny and Joe were given, it didn’t dampen their spirits, or optimism. Maybe it had something to do with novice baker, Joe’s faith in everything being alright in the end. 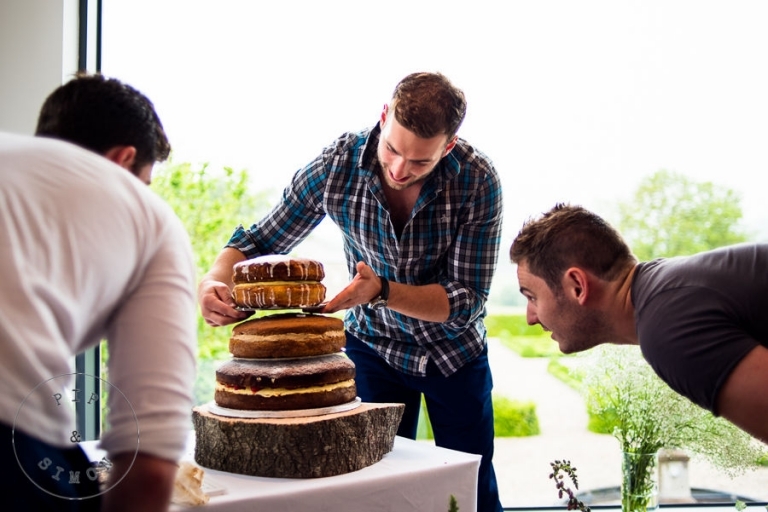 As he was putting the final touches to the cake he’d made – by cake, I mean THE cake, the clouds started clearing and Joe gave the nod for setting up outside in the beautiful walled garden. 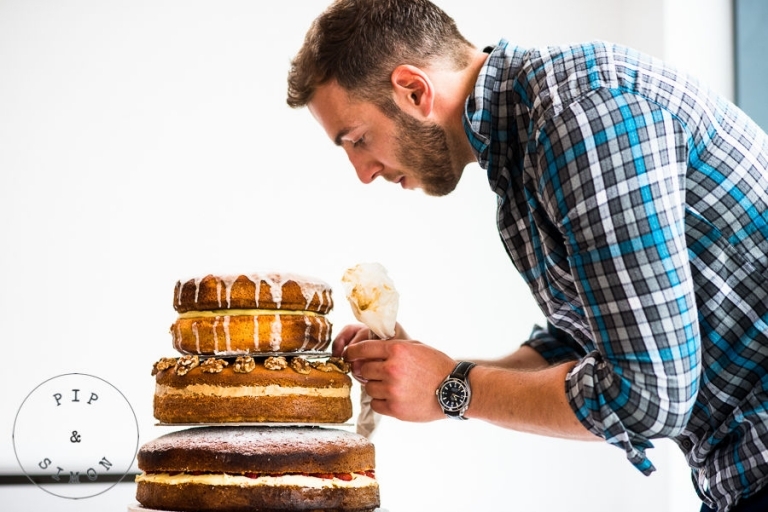 Well, they say fortune favours the brave, and I’d call making the decision that the first ever cake you bake, should be your wedding cake, pretty darned brave! As the beautiful Jenny stepped out of the house, on her beaming Dad’s arm, the sun finally broke through (honestly, it was like magic and sent a cheer through the congregation!) and stayed with us all day, throwing a gorgeous glow over the celebrations. Which, as it turned out, was just as well, given that the cheeky Best Man’s report of the cringing groom was anything but glowing! It was brilliant, though. Utterly hilarious and brilliant (photo number 24 sums it up perfectly!). 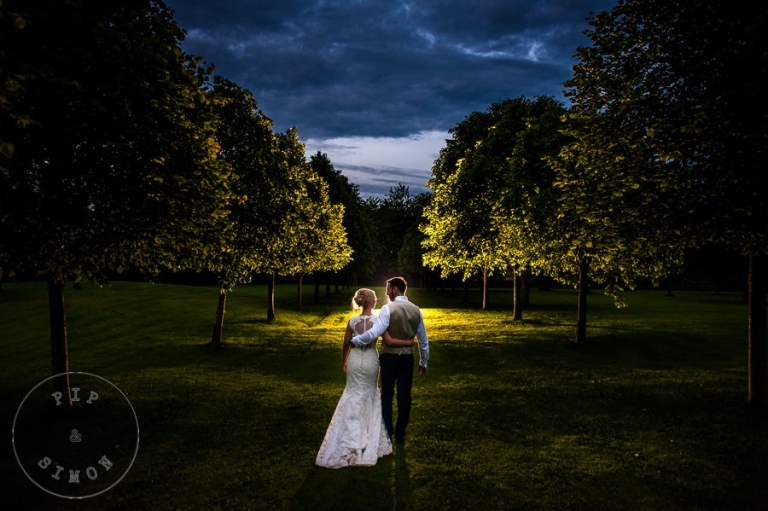 Having taken an evening stroll with the loved-up bride and groom through the stunning grounds, it was time hit the dancefloor, and the trampoline, and party the night away.